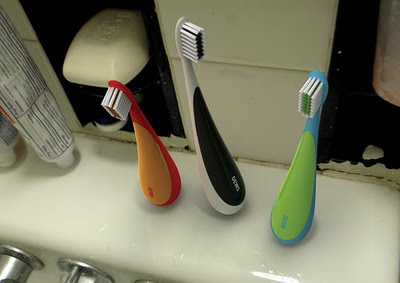 Presumably using the same cutting-edge technology found in Weebles (which, of course, "wobble but don't fall down"), the DEWS Toothbrush by Ryan Harc keeps itself safely upright in your filthy bathroom. I like the safety of this concept - after all, a toothbrush with a flat base would be able to be stood up, but these are weighted to resist even being knocked over. During those barely-awake early mornings or late nights, that could make all the difference. 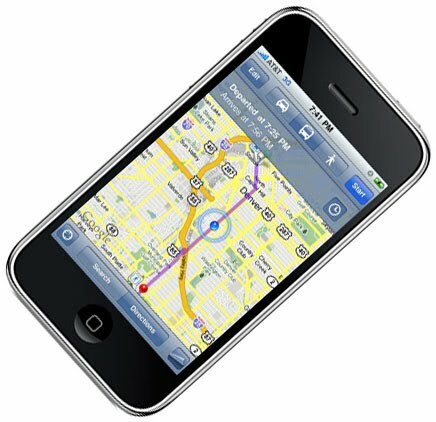 My lovely wife pointed this one out last weekend, as we were using her iPhone (3G) to navigate to a friend's birthday party: she's happy that the maps application doesn't switch between portrait and landscape modes, because she can hold the phone so the map is oriented to the real world without worrying about it switching around on her. I hope this is a design decision, not just dumb luck on Apple's part! And to be honest, I don't know if things are different on the 3GS or 4 with their built-in compasses. But one way or another, well done, Apple! 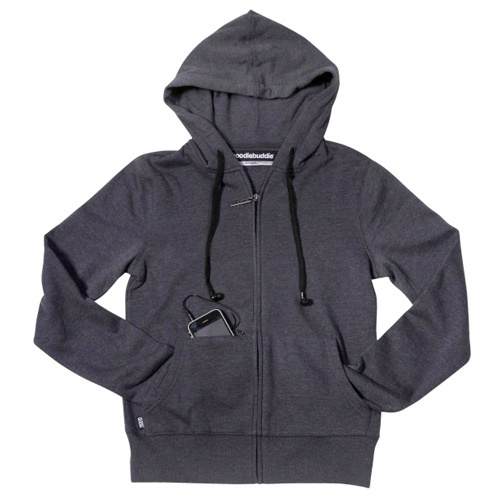 Own a hoodie? How many times have you used the hood drawstrings? And how often do you use earbuds? 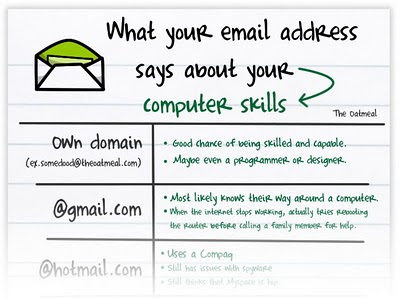 HoodieBuddie asks, why not replace something you don't use with something you do use...? Hatcams: Weird for now, but just the beginning? Behold: Hatcams, baseball caps with standard camera-mounting fixtures on the bill. (I'll give you a second to stop chuckling.) But seriously, this could just be the beginning. 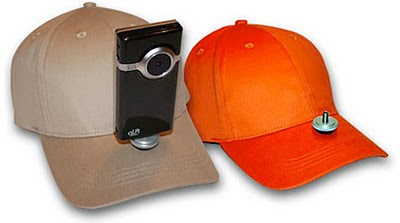 For now, it's silly - cameras are too big and conspicuous, and god help you if you want to start and stop recording. But cameras keep getting smaller, and batteries and memory will last longer, so I can certainly imagine a sleek and socially-acceptable camera built into clothing - and always recording. It's similar to lifecasting, but more for the purpose of catching memorable life moments before they're over - and without interfering with your ability to experience them. Aside from that, imagine the value of having a video record of any altercation, car crash, or crime... Privacy may be the victim, but the possibilities are mind-boggling! 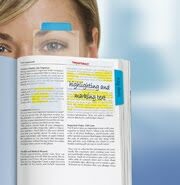 NoteTabs: Uses for transparent Post-Its? Office supply maker Avery has a solution looking for a problem: NoteTabs, which are essentially transparent Post-It notes. They're pitching these as a solution for highlighting or annotating materials that will eventually have to be returned in unmarked condition - borrowed books or original documents, for example. I'm sure these needs occasionally exist - what I'm not sure of is whether being able to directly superimpose your notes, rather than slap a Post-It alongside the material, is worth buying a whole separate product. If I'm missing something, fill me in - otherwise, I'll stick (ha!) to my Post-Its. 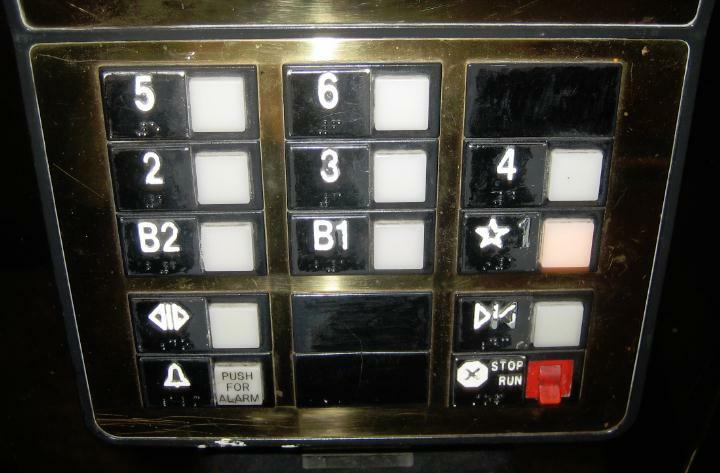 While researching an upcoming presentation, I returned to the subject of "natural mapping" in buttons and other user interfaces. I was first introduced to it by Don Norman's "The Design of Everyday Things," which contains the classic example of mapping knobs to burners on a stove: a row of four knobs doesn't map to a 2x2 square of four burners, but a similar 2x2 square of knobs is immediately obvious. 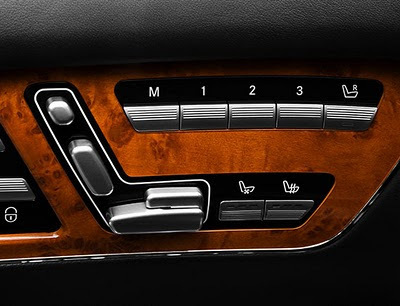 Anyway, I found this image of a wonderfully naturally-mapped control for powered adjustable car seats. Move the little seat parts any way you like, and the real seat follows. It's simple, obvious, and intuitive - and makes for some very pressable buttons! Cheese Placement Design - Usably delicious! Usability in design can be found in the strangest places - and the strange place of the day is inside your Subway sandwich. 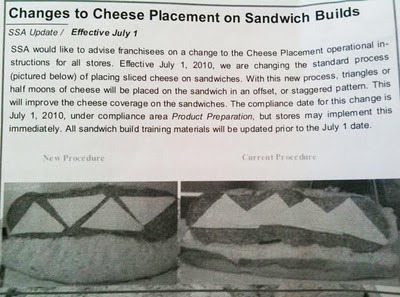 The idea is that the way Subway puts cheese on your sandwich, shown at right, is aesthetically pleasing but at the cost of being inefficient and uneven. So there's been some popular uprising online, including this clever shirt, lobbying to change to a tessellated design with more uniform cheese coverage as shown on the left. 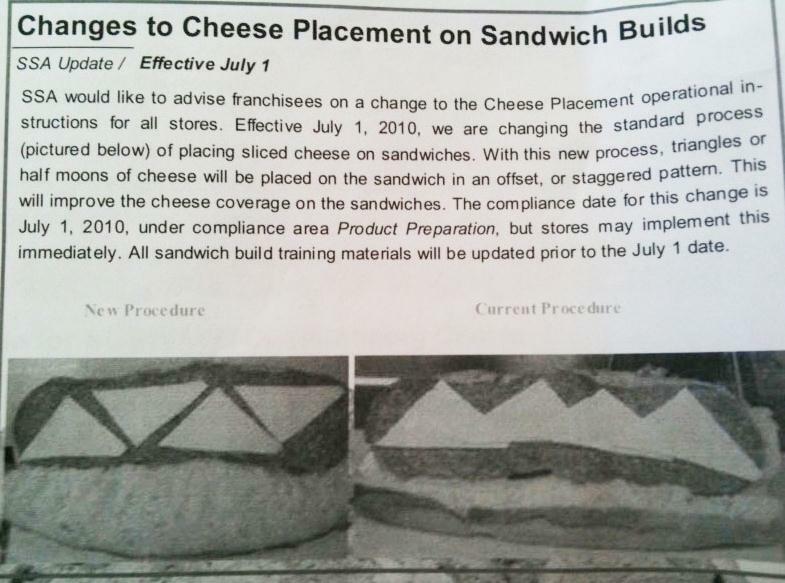 Lo and behold, this spyshot of an internal Subway memo suggests that the change will take place on July 1st! I've got to admit, I'm tempted to go to Subway soon and see if it actually happens - and I'm even geeky enough to care.